Women for Women International supports the most marginalized women in countries affected by conflict and war. Our programs enable them to earn and save money, improve health and well-being, influence decisions in their home and community, and connect to networks for support. By utilizing skills, knowledge, and resources, women are able to create sustainable change for themselves, their family, and community. 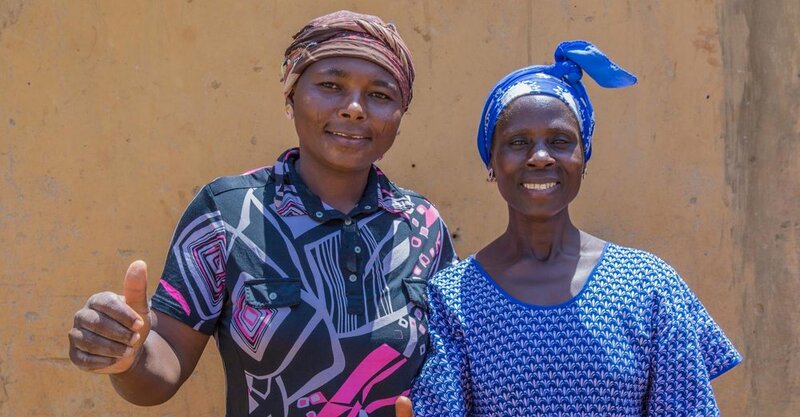 We believe that in order to make lasting change, women need the skills and resources to build self-confidence, understand their rights, earn an income, and gain the respect of their family and community. Over the past 25 years, we have tested and evolved our work to ensure the women in conflict affected countries have the ability to proudly stand on their own two feet. Through our program, women learn economic and social empowerment skills side by side in a way that complement each other. Read more about our program components below. Economic Empowerment - When women learn how to earn and save money, they have agency over their future and their family's. Social Empowerment - It is not enough for women to earn an income or learn about health and wellbeing: we must invest in every impoverished woman’s journey to find her voice and gain self-confidence. Respond to Conflict - We refuse to be idle as women and their families suffer the consequences of growing conflict around the world. Sustain Peace - Conflict tears families and communities apart, but strong women rebuild strong nations. We are continuously learning and striving to improve both the program offered to marginalized women, as well as activities that will complement and deepen the impact of our training. chance at a better future. Men’s Engagement - We engage men to become allies and advocates for women’s empowerment and gender equality. Graduate Support - After our year-long program, graduates continue their journey to empowerment through advanced trainings. Community Advocacy - The women we serve are leaders on the front lines. They rebuild from the ground up.